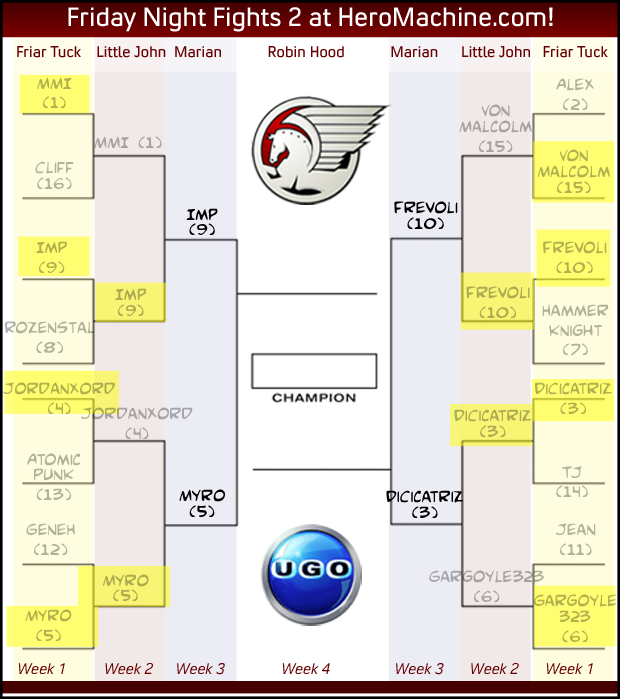 Posted on November 26, 2010 by AFDStudios | Comments Off on FNF2 Round 2 RESULTS! By doubling up his nearest competitor in terms of percentage of the vote, the winner of the Friday Night Fights 2 Round 2 Consolation Prize is ... Alex! His Little John was judged the best by 27% of the votes cast; congratulations to him. Congratulations to all the winners, and good luck in the next round, which I'll post in a couple of hours. This entry was posted in Challenge Favorites, Challenges, Friday Night Fights. Bookmark the permalink.